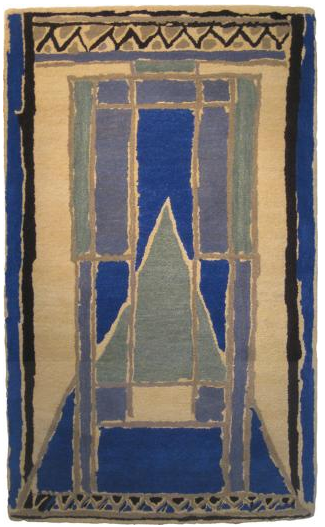 A while back, over at my companion site, I linked to an upcoming Somerset House exhibition: After Bloomsbury: Rugs from the Omega Workshop, 1913-1916. On view will be Christopher Farr's contemporary handcrafted rugs inspired by five never-produced Omega Workshops designs (think artists Vanessa Bell, Duncan Grant, and Roger Fry) along with reproductions of the original, nearly century-old studio creations. Since the show opens May 2, I wanted to mention a special limited edition, highly graphic rug currently offered through The Courtauld Gallery shop. Collaborating with the Courtauld, and taking cues from a 1913-15 design attributed to Duncan Grant or Frederick Etchells (shown at top), Farr has produced this colorful, 100% hand-dyed, hand-spun wool rug pictured directly above. 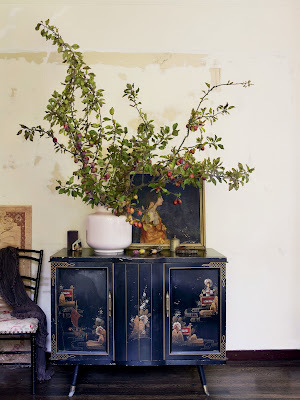 Also channeling Bell and Grant, artist Sophie Coryndon will lead a couple of one-day furniture painting masterclasses at Charleston in June and July. Because spaces in these workshops tend to sell out quickly, I'm posting an early reminder. Details here. 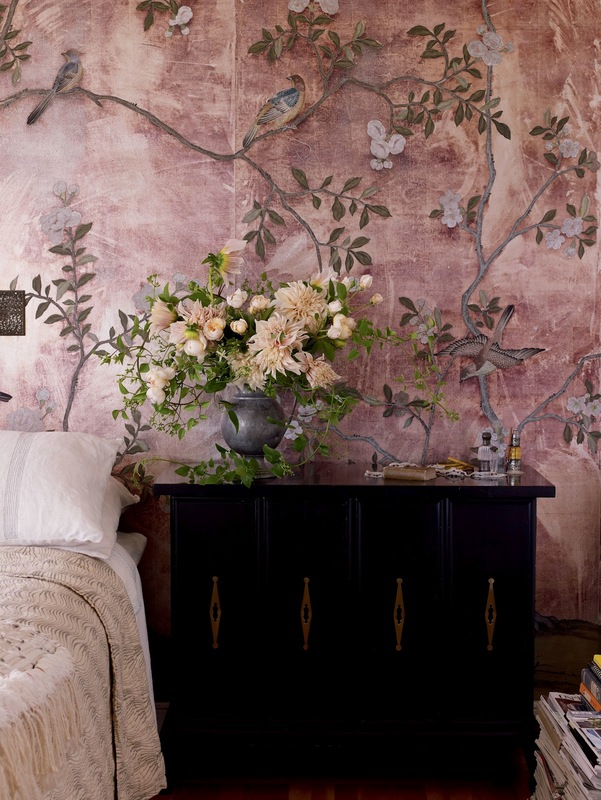 You might also like: Bloomsbury in Vogue. 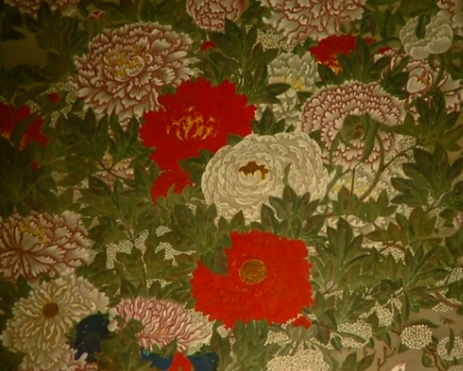 Following their six-year-long restoration, the 30-scroll set of 18th-century flora and fauna paintings by artist Itō Jakuchū have been on view for nearly a month at the National Gallery of Art in Colorful Realm -- an unprecedented loan exhibition from Japan (more on the show here). 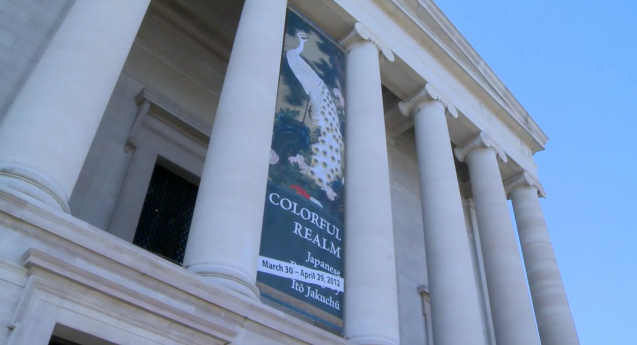 For Colorful Realm's final days, April 27, 28, and 29, the museum is extending public viewing hours until 8 p.m. If you can't experience the exhibition in person, sneak a peek via the podcast and then check out the companion catalogue. 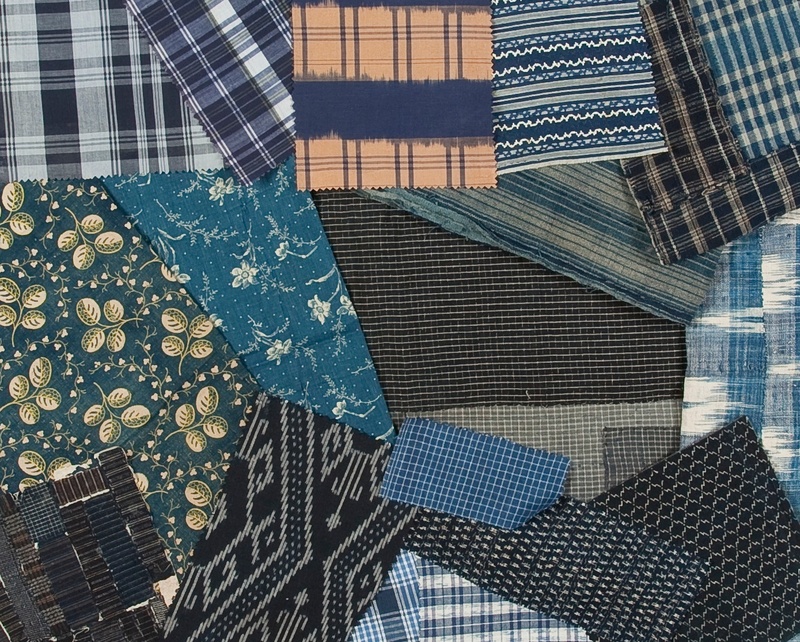 The Indian cotton madras spread at Erica Tanov. In Berkeley, faded, blurry varieties can feel boho yet in Connecticut the fabric is so Pete Campbell. That's what's fun about this timeless summer classic. 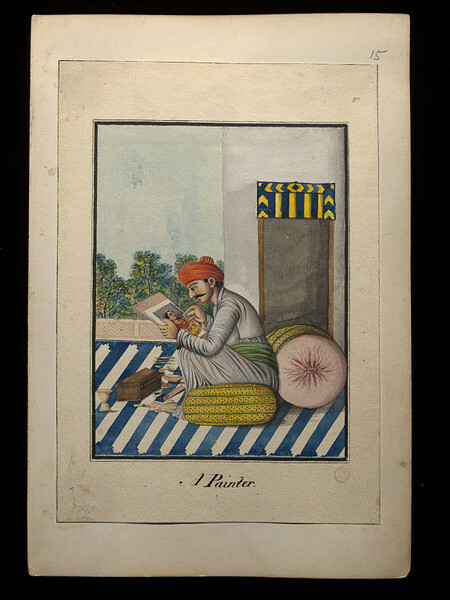 I stumbled across interesting references to madras' centuries-long history here and here. 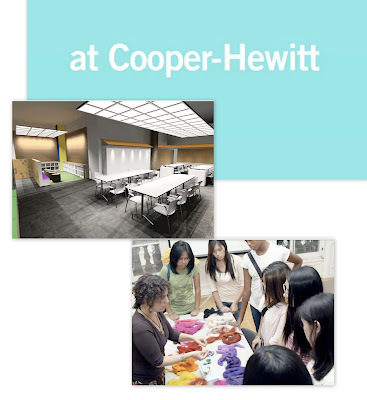 Opening Saturday, May 12 is Cooper-Hewitt's new off-site, community-friendly Design Center, an education space in New York’s Park Heights/Harlem neighborhood. Working with teens from the museum’s DesignPrep program, Todd Oldham is doing the interior; Key funding has come from Target. The 1,500-square-foot facility will encompass workshops for Design in the Classroom, a respected program which enables design educators to work directly with NYC public school students. Here's my video pick -- a brief clip about the ongoing project and how exploring design -- particularly the design of functional items -- helps children sharpen problem-solving and critical thinking skills. Learn about the opening day family activities here. 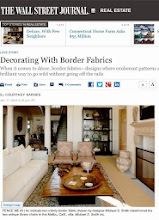 A terrific May issue of Southern Living featuring many, many talented designing women including Barrie Benson, Angie Hranowsky, and Katie Ridder. [Prince with Ladies in Camp. Gouache on paper. 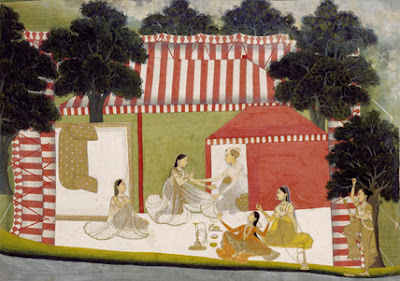 Lucknow, India, c.1760. Today, it's another passage to India. 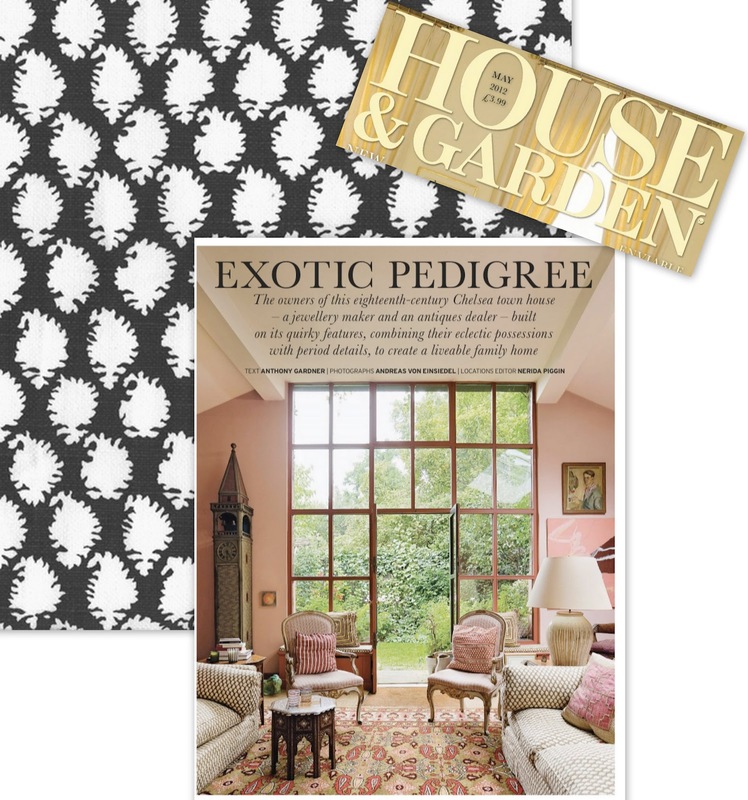 Miguel Flores-Vianna, knowing my weakness for Indian textiles, furniture, and art, recently encouraged me to look at the May issue of House & Garden, UK. I'm so glad he did. 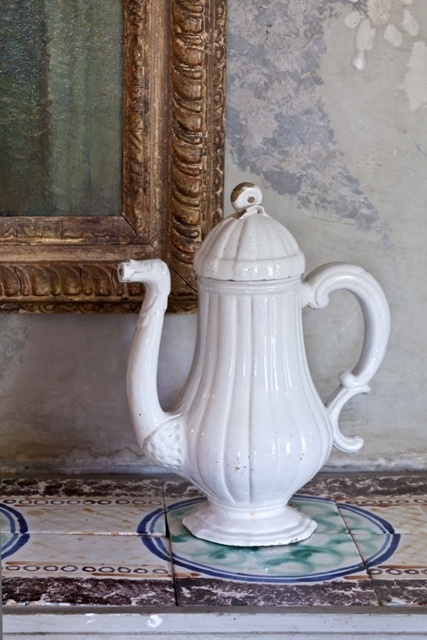 Featured among the pages is the London house jewelry maker/artist Charlotte di Carcaci shares with her husband Alexander, an antiques dealer, and their three children. 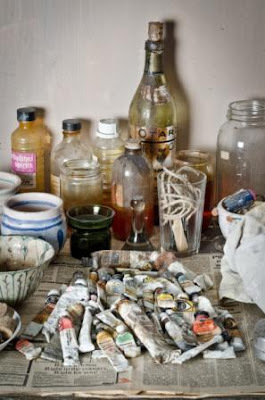 As writer Anthony Gardner explains in the H & G story, there's a former artist's studio (once Sir Henry Tonks's, to be exact) in the couple's back garden. In the di Carcacis' hands, it has become a welcoming Indian-influenced sitting room filled with John Stefanidis's boteh patterned fabric, Jaisilmir, old Indian miniatures, and a huge 19th-century portrait of the Maharana of Udaipur. So, with anticipation building for the Virginia debut of Maharaja in May, I wanted to quickly draw attention to the re-imagined garden studio. I've pulled together some related objects from the V & A, the Stefanidis print, and a purposely small image of the sitting room (don't want to spoil your experience of seeing the house firsthand in the new issue). What I think you'll appreciate about the rooms is the delicious and complex mix: a richly-patterned Kashmiri desk; a very Downton Abbey-Season-Three 1920s family portrait; and a variety of works by Brit artist Teddy Millington-Drake (Alexander's uncle). 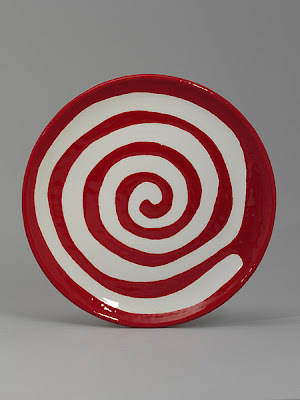 There are large abstracts and a bounty of bold ceramics like the plate, above, from the V & A's collection. 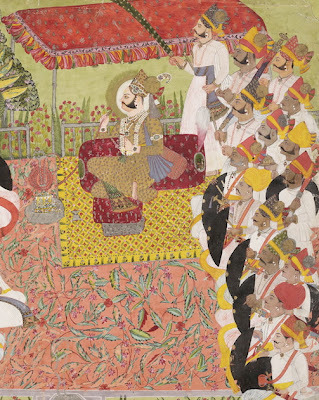 BTW, Anna Jackson, Keeper of the Asian Department for the V & A and the Lead Curator of Maharaja, will be in Richmond at the VMFA on Thursday, May 24 to present The World of the Maharaja at 6:30 pm. The talk is open to the public, admission is $8, and tickets are available online. If I could be in Virginia that evening, I'd definitely be sitting in the theater. Some recent posts over at tumblr warrant a few brief comments here. 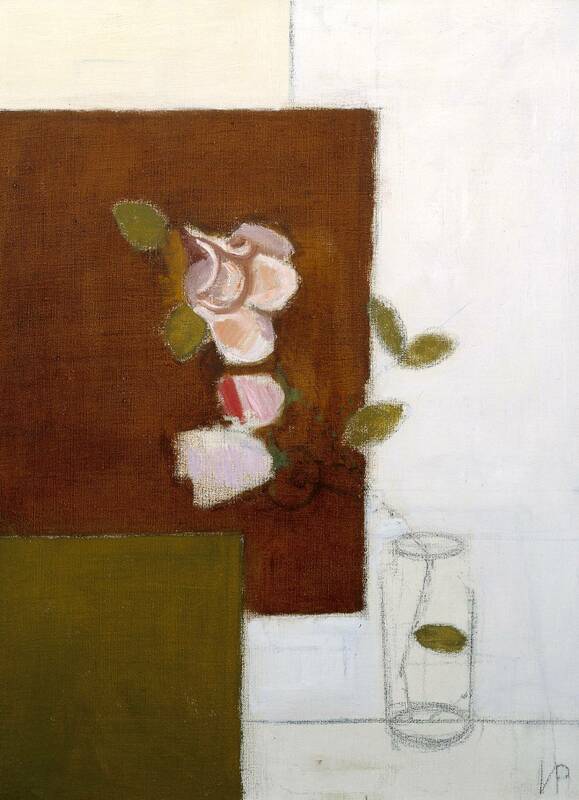 First, one of Britain's leading 20th-century artists, Victor Pasmore: Roses in a Jar may not be as familiar to audiences as his later pure abstraction, but it's a wonderful example of his transition away from figurative work in the 1940s. I found a nicely detailed catalogue entry about Pasmore's mid-to-late 40s still life painting at Tate, and, if you're in the UK, there are roughly three weeks left to catch Victor Pasmore: Transformations at The University of Manchester's Whitworth Art Gallery. 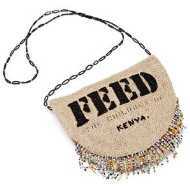 On the textile front, Cotton: Global Threads, another Whitworth exhibition, also closes mid-May. 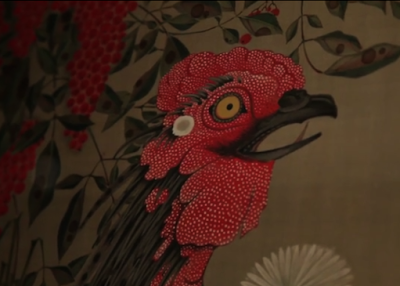 Did you know that the Whitworth has an internationally-respected wallpaper collection comprised of several thousand examples representing the 17th century to the present? Additionally, the gallery owns silk dyer Thomas Whardle's pattern books (1700 pages! Two examples posted here). 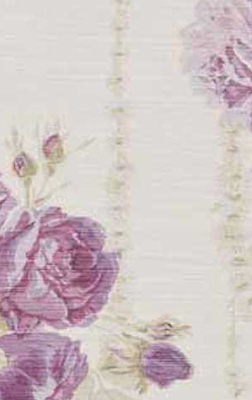 Whardle's name popped up a while back in a Liberty post, too; Arthur Liberty's collaboration with Wardle in Leek, Staffordshire, resulted in the first Liberty Art Fabrics. 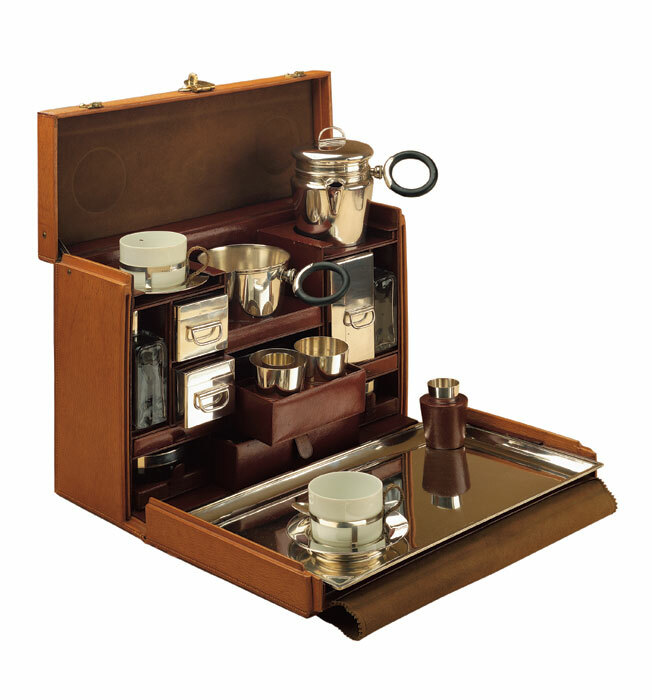 And Whardle sold to Heal's as well. 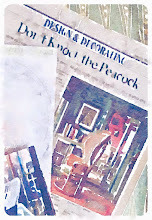 A wealth of info about Whardle, his designers, and his company is online at the bottom of the page here. Visually speaking, there are so many memorable elements in the BBC's mid-1990s production of Edith Wharton's unfinished novel, The Buccaneers. To begin with, we have those staggering back-drops: views of the green English countryside with its grand old houses, including Castle Howard, Stanway House, and Dunluce Castle (that last one is actually in Ireland). And maybe it's just my ever-wandering imagination or simply a case of Gilded Era style dovetailing with 1990s looks, but the black-ribbon chokers worn by the girls and longer, Seattle-grunge-esque hair worn by one of the footmen always take me back. Still, my vote for stand-out scene probably goes to the picnic filmed along the swan-filled River Test at Houghton Lodge. Does this red earthenware tile feel 1960s or 70s to you? I had to take a second look when I noticed it is dated 13th or 14th century. 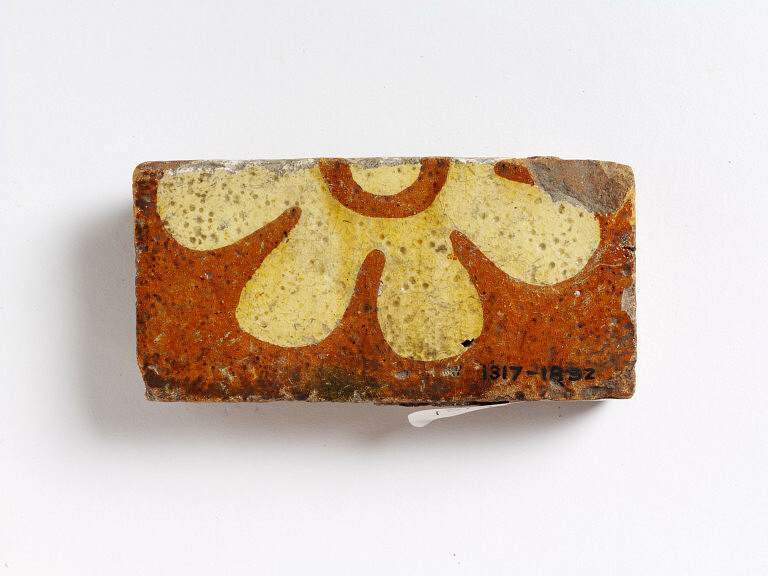 Now part of the V & A's collection, the English-made fragment came from Wimborne Minster in Dorset. 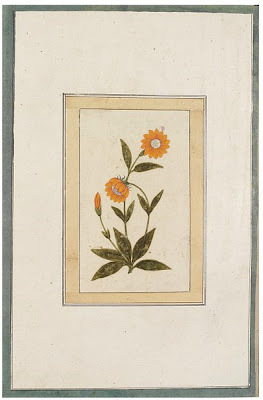 The V & A describes the flowering plant in this Northern Indian, 18th-century miniature watercolor, above, as 'daisy-like.' I love the orange, so I'm going with daisy. 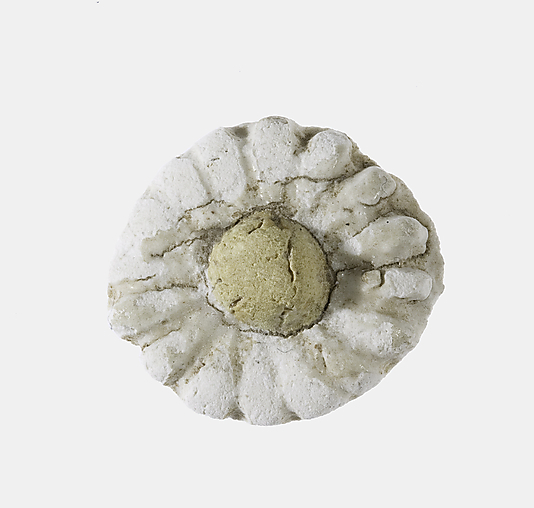 New Kingdom Egyptian faience daisy bead, circa 1390 -1353 BC from The Met's collection. 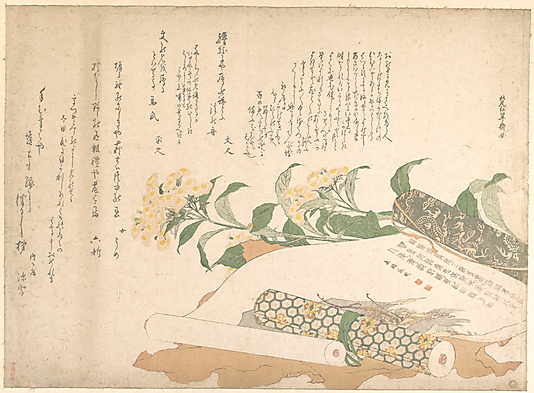 Daisies and Two Makimono by Kitao Shigemasa, a circa 1800 Japanese woodblock print on paper at The Met. Barely visible in the top right corner, above, a daisy painted on the wall at Charleston. 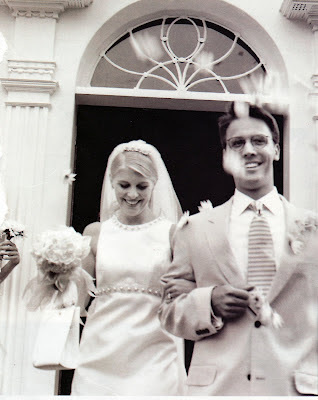 And, okay, not part of the art historical canon but definitely influential in the 1990s and today: a Martha Stewart wedding. Above, daisies -- not confetti, not rose petals -- thrown at editor Page Marchese Norman's daisy-themed, yellow-and-white ceremony. Back to English castles, this week over at Tumblr I posted a link to a vintage fashion newsreel shot at Highclere (aka Downton Abbey). Just click on the black-and-white 'castle picture.' Regarding Wharton, you may recall that 2012 marks her 150th birthday; click here to learn about a series of related happenings. 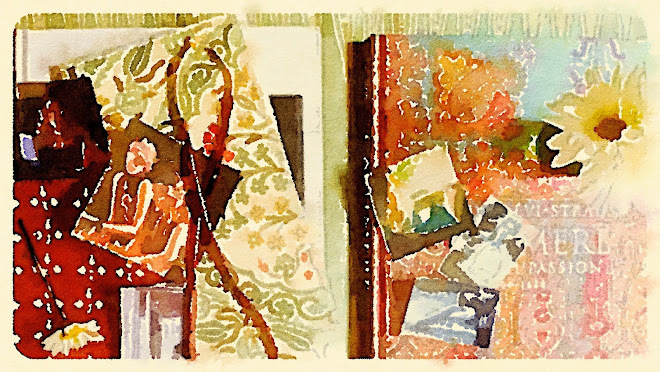 This blog deals with material culture, so with the 150-year Wharton milestone I'd already been planning to look at the production design in film adaptations of her novels. On the literary front, in February and March of this year, there was a lively and lengthy blogosphere conversation about a certain Wharton-related New Yorker essay. Whether prompted by a movie, the essay, the debate, or the birthday, maybe more Wharton books will appear on summer 2012 reading lists. Fashion designer Matthew Williamson and visual artist Mat Collishaw are among the contemporary talents paired by the V & A in the upcoming exhibition, Britain Creates 2012: Fashion + Art Collusion, part of the museum's British Design Season. Williamson and Collishaw were asked to work together on a new commission, to be on view July 6 - 29. Both men have done previous installations for the V & A. In 2004, Williamson was invited to do a Christmas tree for the Museum, and last year Collishaw used the V & A's crown cupola as a sort of massive zoetrope with his spellbinding Magic Lantern. 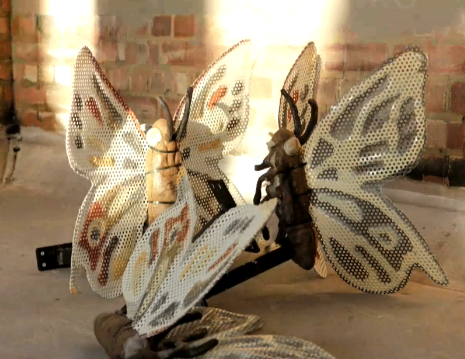 The screengrabs here are from a terrific behind-the-scenes video that shows how Collishaw played with the idea of moths drawn to a flame and used, as the Museum describes it, Lewis Carroll-esque scale along with light to temporarily transform visitors' experience of the South Kensington building. 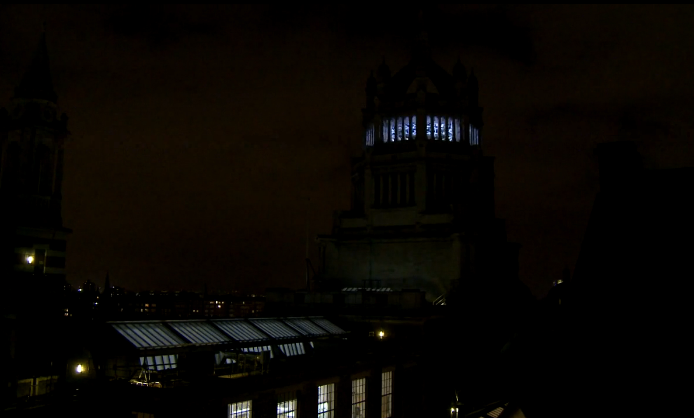 But my images don't begin to do justice to Cultureshock's video. See it full-screen here. More on 21st-century zoetropes here. Catch a glimpse of Williamson's shop in my post Europeanoiserie. Creative British women with an eye for pattern, specifically mid-century textile designers, have been in the spotlight recently. 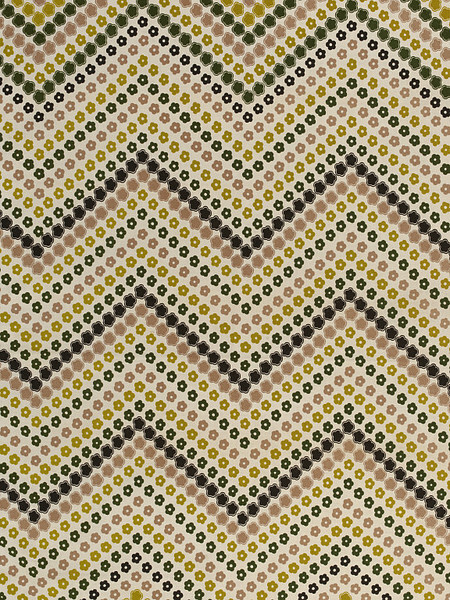 Case in point: the show Designing Women: Post-War British Textiles, on view right now in London at the Fashion and Textile Museum. Also there's the V & A's new series of books, Modern British Designers, Heal's, Liberty & Co. and Sanderson (both men and women are covered in this boxed set), and in the summer of 2010, Art by the Yard: Women Design Mid-Century Britain took center stage at D.C.'s Textile Museum. As part of an ongoing celebration of British innovation, today I'm highlighting Althea McNish. 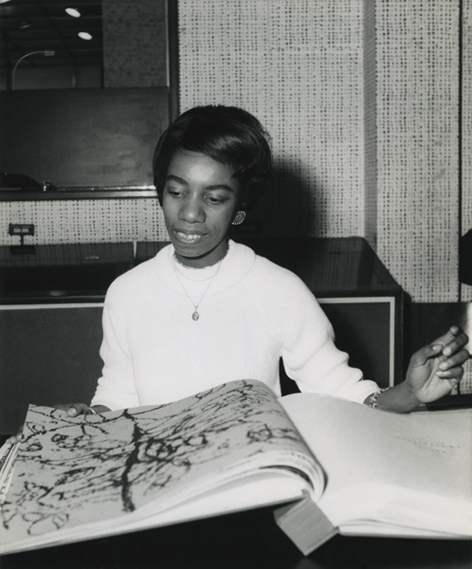 Originally from Trinidad and Tobago, McNish came to London in the 50s to study. 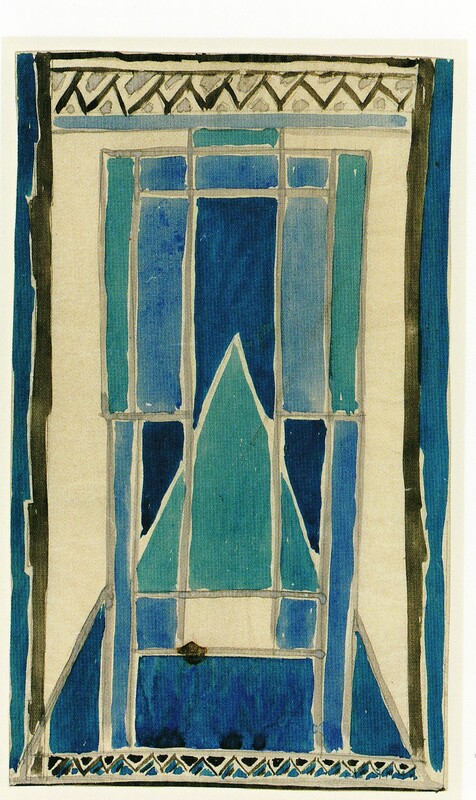 After graduating from the Royal College of Art, she designed for Liberty and for Heal's and was among the freelancers selected by Hull Traders' avant-garde designer Shirley Craven at the dawn of the revolutionary 60s. Fast forward to the 21st century and McNish's bold, colorful work can be found in the collections of The Whitworth and the V & A. Check out Van Gogh, her 1959 hand screen-printed cotton for Hull Traders. 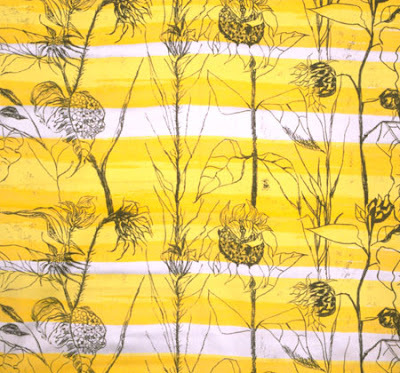 The name lets us know the sunflowers are a nod to the Post-Impressionist, but the combination of stripes with a floral seems, to me at least, to be a modern take on classic English prints. BTW, Leah Armstrong's Portraits: Women Designers, the source of the photo posted at top, explores the professional identities of 13 individuals, examining how clothes, body language, and environment come together to craft an image. For what seems like eons, we've been anticipating the East Coast debut of Maharaja: The Splendour of India's Royal Courts, the V & A's opulent 2009 blockbuster. 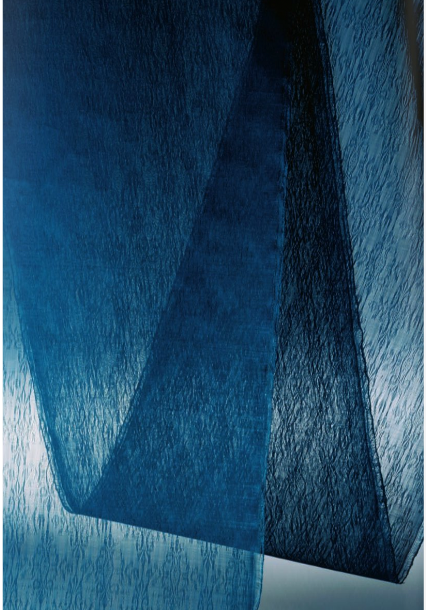 But now the exhibition opening, at the VMFA in Richmond, is finally in sight -- May 21. Tickets are already on sale, so that should be helpful if you're thinking of making a special trip to see the show. Repeating what I posted earlier, the V & A-organized exhibition is comprised of numerous loans from India's royal collections: a specially commissioned 1927 Rolls (Phantom I); fit-for-the-king furniture; intricately crafted textiles, glass, and metalwork; jewel-encrusted objects such as writing sets along with court jewelry; paintings, and photography spanning three centuries from the early-18th to the mid-20th. Royal arts patronage and myths surrounding the world of the maharaja are key focal points. Still online, the original microsite is loaded with images, video, and interactive features. Visit the VMFA for details on this summer's venue. 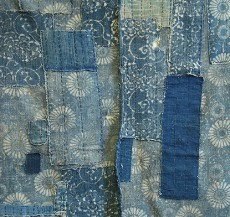 Sharon S. Takeda, LACMA's Senior Curator and Head of the Department of Costume and Textiles, is scheduled to visit The Textile Museum on Thursday, May 10 to present Ai: The Japanese Love of Indigo, a look at the enduring appeal of Japanese indigo-dyed textiles. Tickets cost $25 for non-members and advance registration is required. 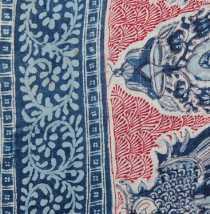 Show above is a selection of woven and printed cotton indigo from India, England, Colonial America, Japan, and France, made between 1780 and the 1950s. Drawn to the tassels and bells on the back of this rickshaw (a cycle rickshaw) parked front and center at Anthro today, I hastily snapped a picture. Later, thinking about its fabric hood, I wondered if the V & A has any striking old rickshaws. That lead me to an interesting article (obituary, to be precise) on museum educator, Shireen Akbar, and the exhibition she organized, Traffic Art: Rickshaw Paintings from Bangladesh at the Museum of Mankind (1988-1991). An example of one of the 20th-century rickshaws she commissioned is shown over at the British Museum's site. There's also a very short companion piece about the challenges of conserving the painted vehicle, which is composed of PVC. With rickshaws on the brain, I eventually landed at Rikshaw Design; in case you hadn't heard, RD's ever-popular hand-block printed, 100% Indian cotton voile may now be purchased by the yard online. 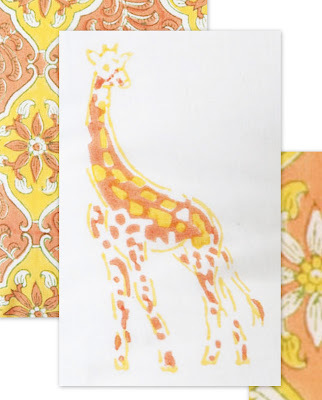 Still loving Udaipur Giraffe for a child's room. 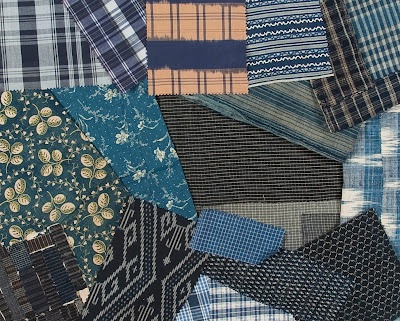 Update 4.11.12: More fabrics designed with kids in mind from Lulu DK's new collection for Schumacher. The first section in Bringing Nature Home opens with abundant cherry blossoms -- specifically a reference to Japan's centuries-old flower viewing custom -- along with Ngoc Minh Ngo's photo of a jaw-droppingly beautiful armload of branches on a bedside chest accompanied by the caption: "What better way to celebrate spring than to wake up under a cloud of cherry blossoms?" 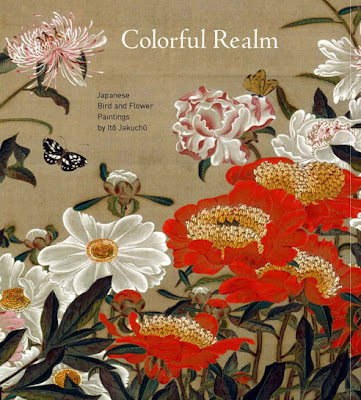 Japan Spring encompassing Hokusai: 36 Views of Mount Fuji and Colorful Realm. 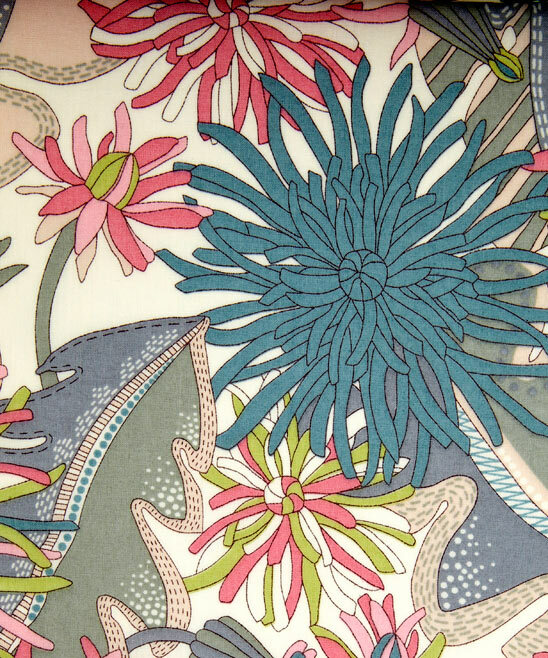 Influences ranging from the gardens at Glencot House in Somerset, England to the textile archives at Whitworth Gallery in Manchester to flower-filled paintings in the National Gallery informed Liberty's spring/summer 2012 Art Fabrics collection. Catch a behind-the-scenes video here. 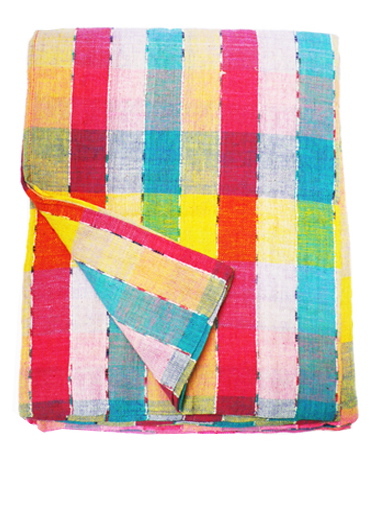 This week, over at Tumblr, I've been posting striped things including a fun Mexican beach blanket, so it was perfect timing yesterday when I stumbled across a review of Thomas McCormick's Saltillo Sarapes: A Survey: 1850-1920 in Hali's spring 2012 issue. The magazine's piece deals specifically with the exhibition catalogue and is definitely worth a read if you're interested in learning more about these Latin American textiles. 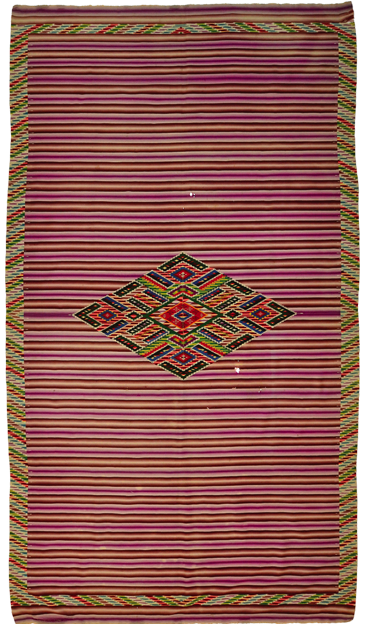 Now iconic symbols of Mexico, Saltillo sarapes, to paraphrase Hali, are a sort of Tlaxcalan (Northern Mexican) and Spanish hybrid -- what came about when the old cotton weaving traditions of the Tlaxcalans crossed paths with the wool-making methods of Spanish colonists. 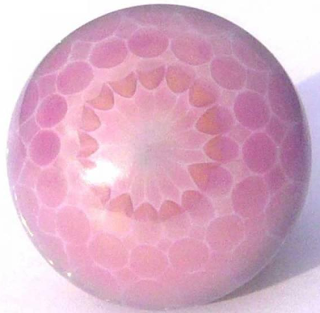 Above is a personal favorite from the catalog with characteristic central diamond, nicely detailed patterned field, and rich, contrasting border. 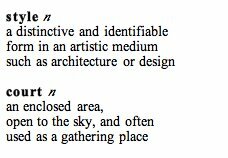 Combing through the exhibition acknowledgments, I came across the Phoebe A. Hearst Museum of Anthropology and meandered off on my own. There's more to explore here as well as at the Smithsonian blog. You'll also find images of McCormick's installation here. Photographer Ngoc Minh Ngo knows what she likes. 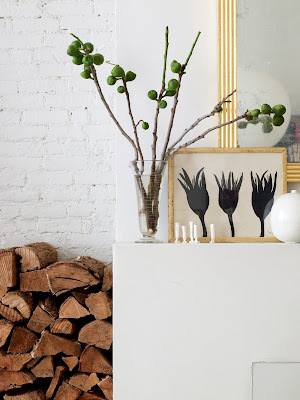 Before her new book, Bringing Nature Home, came to fruition, she visualized the cover shot. 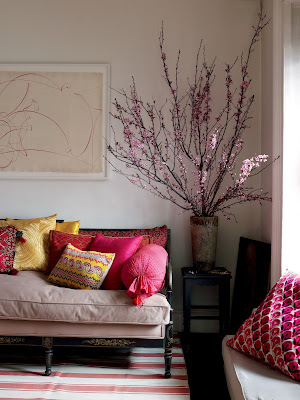 "And I got it," Ngoc enthusiastically told me in a phone interview last week, referencing Nicolette Owen's loose, tumbling arrangement of cafe-au-lait dahlias, autumn roses, and clematis on fashion/textile designer Erica Tanov's bedside chest. The draw wasn't Erica's fame as a Berkeley-based designer (in fact, you'll notice an absence of name-dropping in the book and find houses unidentified), but the feel of her family's un-decorated California digs. 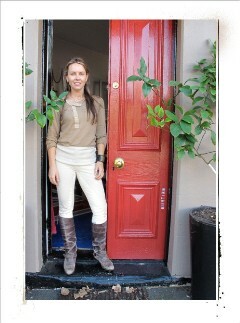 As Ngoc said, "Erica has amazing taste," and a very personal, very real home. 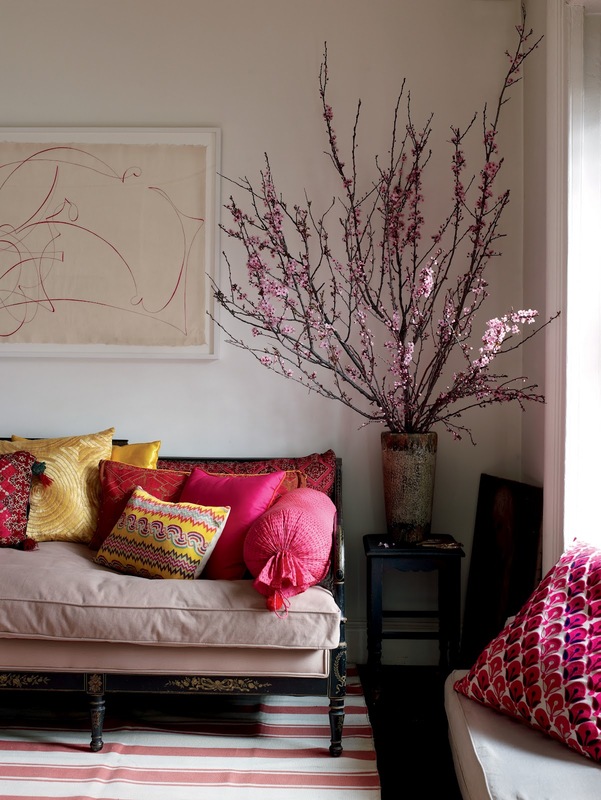 After years of shooting interiors and still lifes for shelter magazines, Ngoc wanted to capture nature -- beautiful but not overly-labored arrangements of flowers, fruit, and foliage -- in expressive, art-filled homes she personally responded to (including her own apartment). Some fans and design-junkies will recognize Erica's tarnished chinoiserie wallpaper, her paintings, and her flea market furniture, or notice several really inviting corners in author/editor Deborah Needleman's home, but most readers won't know specifically where the photography was done. 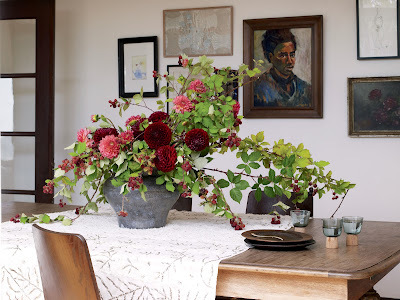 Like I said in my my teaser post, the focus is on enjoying seasonal flowers every day, in the here and now, rather than on design personalities. Nature is the star. 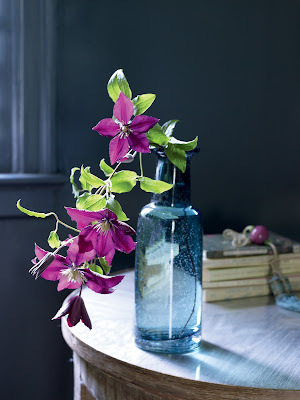 The book convincingly makes the point that voluptuous arrangements aren't just for weddings, professional photo shoots, and occasional parties. Skeptical? With Ngoc's and Nicolette's soft-spoken guidance, I'm learning that truly opening up to nature's full spectrum -- all sorts of readily available regional leaves, branches, and blooms -- instead of obsessing over only two or three favorites, helps make the fantasy a reality. "Appreciate variety" isn't trite advice coming from Ngoc; it's a mindset at her core. The Vietnamese-born writer/photographer/gardener has lived on the East and West coasts of the U.S., in Italy, and in Paris. 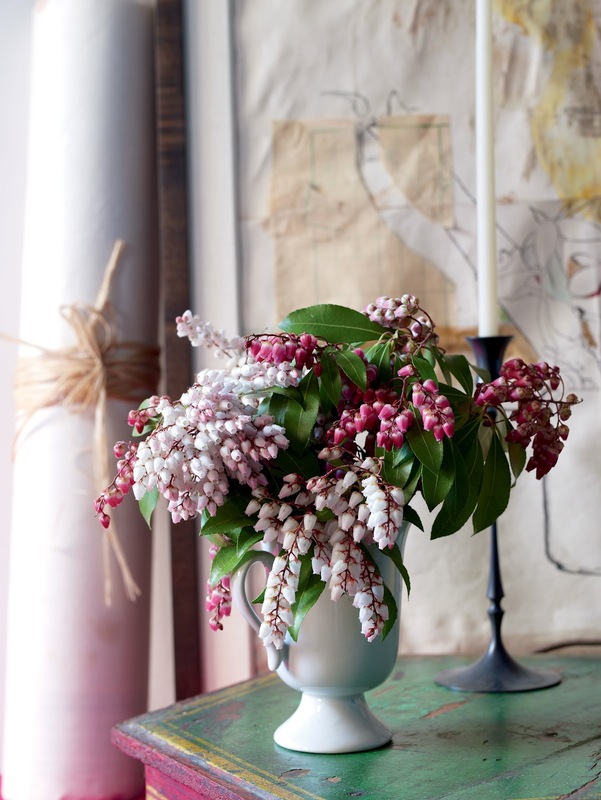 She first cultivated a passion for flowers observing her dad, a military man, working in his own small garden: "Watching him, I saw a side of [his personality] I'd never seen before," she recalled. Although Ngoc studied at the Sorbonne, photography is something she learned on her own. When I asked about the painterly quality of many of her images, she explained that she'd done an art conservation stint in Italy. And she studied landscape design at Columbia University. "It all informs me." For Ngoc, flowers are more than decorative objects; they have a rich history and cultural significance, examples of which she weaves through her text. Living with foliage and flowers when they're in season, with rhododendron in spring, zinnias in summer, and andromeda in winter, connects us to the outside and to the rhythms of life. They're visual metaphors, she said. An ultimate example of connecting interior and exterior, that stops-you-in-your-tracks gathering of Italian prune plums, directly above, was also photographed at Erica Tanov and Steven Emerson's house. Almost shrub-like, it seems fitting for a home surrounded by trees.